I love a good salad. Particularly when it's hot outside, a lovely crisp and cool salad seems like the perfect light meal. 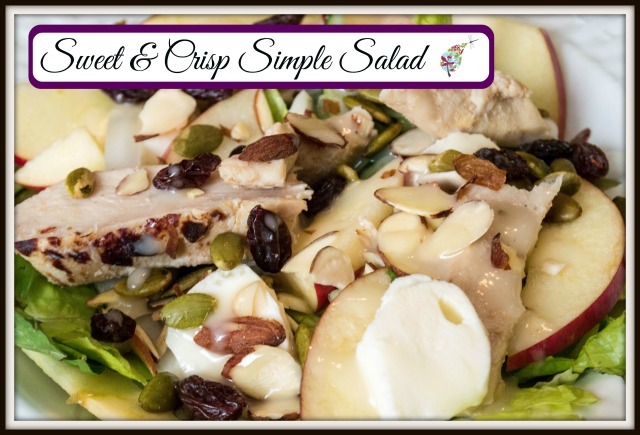 This easy to throw together salad is delicious deviation from the traditional salad mix, chopped peppers, grape tomatoes and Italian dressing. 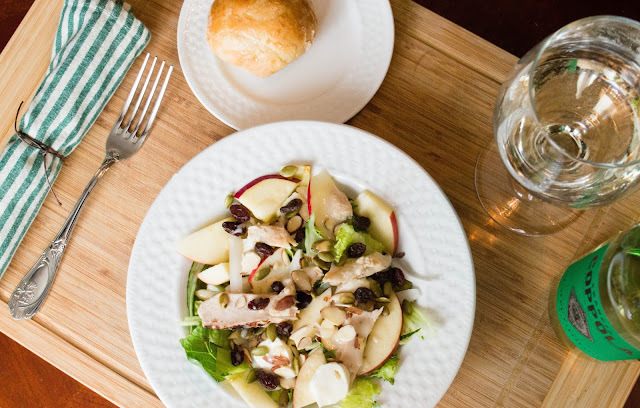 Toss together ingredients, then drizzle with dressing of your choice (I like Panera Bread's Fuji Apple Vinaigrette, found in the produce aisle). Serve with crusty bread and white wine. Yum! *Vegetarian? Try throwing in some sliced portabella mushrooms!